So who is Oksa Pollock? She's the last best hope for restoring the fine balance of a world in chaos. Through three novels we've followed her adventures as her true powers become apparent, and her family call on their own amazing qualities in order to protect her. We join Oksa on the day of her birth, as her family wonder if old prophecies will be fulfilled. 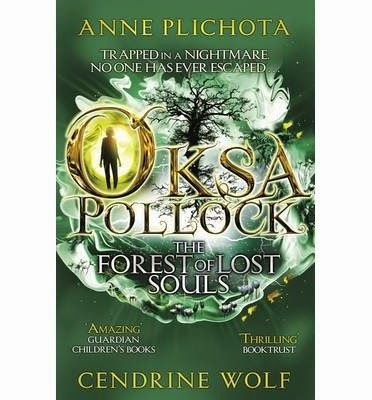 Oksa's future is uncertain, but with the aid of her shape-shifting father Pavel, her amazing grandmother Dragomira whose menagerie of mythical creatures are formidable opponents, and Oksa's mother who fears for her daughter's safety given her predetermined role in saving the planet. Some books beg to be read until the wee small hours as they immerse you in a tightly woven alternative reality that may seem familiar, but does its best to jar your senses by throwing you into a maelstrom of action. I devoured Book 1 in short order, though it has to be said that "The Last Hope" doesn't reveal its hand too quickly. Some may feel that these books take a while to get into, and then suddenly before you know what's going on, it's 3 AM, your eyes are practically falling out of their sockets but you can't bear not to read more. As Book 3 opens, Oksa, her family and The Runaways must find the entrance portal to Edelfia, a parallel world where Oksa and her kind can exist in peace. New allies must be made amongst enemies, and the fate of the world hangs in the balance. 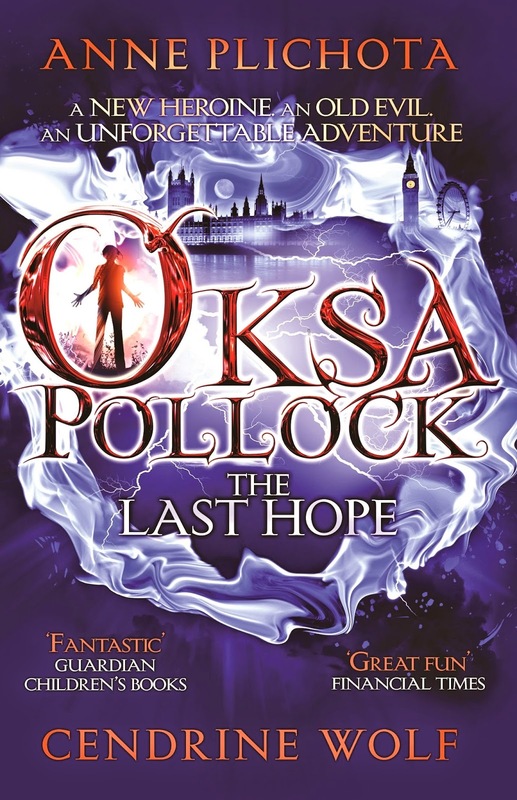 Several reviewers have described Oksa Pollock as "The French Harry Potter" which is a little unfair, as the books only really share a fantasy genre. 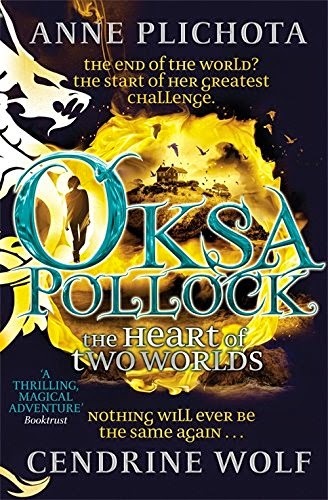 It's really worth pointing out that although the series has a female hero, both boys and girls are going to fall head over heels in love with Oksa and the books. If there's any justice, more people will get to know her and start to line her up alongside some of the greatest female fantasy heroes in literature. Find out more, dive into the books and be ready for fast paced, dark, immersive and totally gripping adventure! Don't miss the other fab booky folk joining the tour over the next few days! Words and Pictures go together like toast and butter! A ReadItDaddy Editorial. We always love following some of the rather fiery conversations on Twitter that rage around the subject of children's books. In particular of late, the fact that children's illustrators are often overlooked, undervalued and their hard work scarcely warrants a mention in some reviews. As Sarah McIntyre quite rightly points out on her excellent blog and #PicturesmeanBusiness campaign, professional publications often play down or omit to mention entirely the illustrator in a writer / illustrator team who have worked on a book (in extreme cases, a well known children's classic such as "We're Going on a Bear Hunt" where Michael Rosen receives endless praise for the story in some articles, with ne'er a mention of Helen Oxenbury's utterly vital illustrations in the same article. Without Helen's illustrations, the book would never have become the classic it so rightly is IMHO). It's not the fault of author nor illustrator, but does seem to be some quite bizarre set-in rot that seems to have been seeping slowly through the children's publishing industry for a number of years. 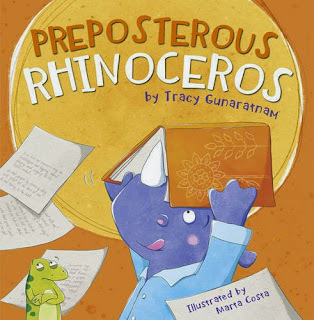 As our staple blogging subjects are predominantly picture books, we often find that the books that consistently hit the book of the week slot are not always visually stunning and perfect, nor are they works of wordy wonder. They achieve a perfect balance of each, with innovation both in story and illustration content. To put this to the test, try reading a selection of picture books to your little ones - purposely obscuring the pictures, or not showing them to your children as you read. Did that work out for you? I can only think of one book in our recent reviewing history that works on that level - and it's "The Book with No Pictures" by B.J. Novak - a book that works as well as a piece of performance art purely through the act of making adults who read aloud to their children look a bit daft. Genius, sheer genius. Once again though, try another exercise. Arm yourself with a pad of post-it notes and stick them over the text in a few picture books. Just show the pictures, don't read the story. How did that work out for you? In very few cases (unless purposely designed as such), picture books don't really work that well without their accompanying words either. The balance needs to be exactly that. A balance, and some extremely talented folk are equally adept at writing and illustration, pulling off the amazing trick of balancing both with aplomb in stories that completely blow us away. 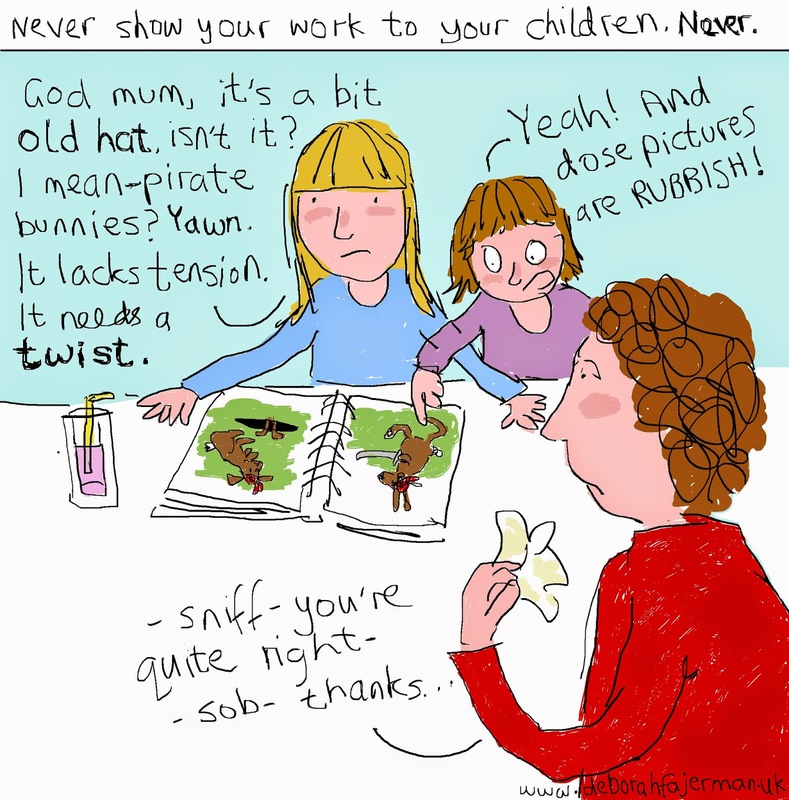 One final thought on Sarah's excellent and extremely important observations about children's illustrators. We firmly believe that an appreciation of art, and definitely an appreciation of children's books (illustrations AND writing) does not require formal training in either. Absolutely not. Reviewers can only offer an opinion but that opinion is not lessened by a sharp lack of knowledge of the art techniques of Vermeer, or the fine-tuned lingual acrobatics of Shakespeare. Does your 3-6 year old have that training? (OK there probably are people out there who will answer 'yes but in general, they don't - so does this mean they can't appreciate children's picture books nor offer an opinion on them, even if their opinion is "I don't like this book, it's poo!" We do not claim to be expert critics by any means and in fact we rather like a healthy debate around a book if someone disagrees with us on it. We do not get paid to do this, nor would we ever try to tread on the toes of professional bodies whose job it is to ensure the growth of the publishing industry and for that matter those who carry the responsibility of promoting the services of some of the industry's leading illustrative and literate folk. But we are the consumers of the 'product', children are who these books were made for, so don't just scrub those opinions into the food waste bin. Lift-the-flap books invariably go down very well at ReadItDaddy Towers but when they contain subject matter of a slightly stomach-churning nature, they are even more well received. 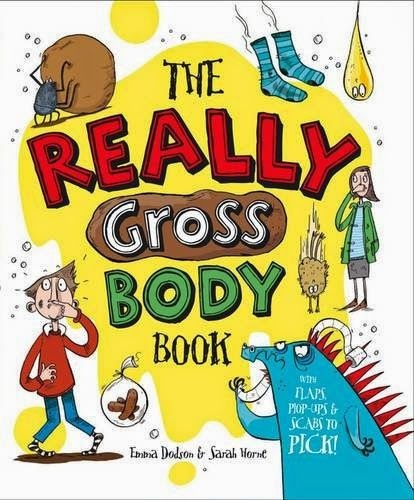 Parents probably already know this, but when kids reach a certain age (say, 2 upwards and probably long into their teens), books that heavily feature farts, poo, wee and spew sing out to them like an icky siren song. Enter "The Really Gross Body Book" at your peril because right from the first trouser-trumping spread, you're in for a fantastic (and REALLY GROSS) journey around your body, and all the less-than-lovely things it can do. The book is humorously written but it doesn't play things too dumb either, which is fantastic to see. The illustrations though, oh boy, you really may end up feeling green around the gills as your child gleefully yanks down the notepad-shaped poo chart and delightedly describes to you their latest 'creation'. It's not a book to enjoy over breakfast, lunch or dinner but it's utterly superb. We've been saying for years that 'lift the flap' books like this shouldn't purely be for toddlers and babies, and so it's really great to see a book for older kids using the format so successfully. A botty-burping bile-barfing bum-waggling belly-busting bogey-snarfing scab-picking book of the week without a doubt! Charlotte's best bit: Delightedly informing everyone that vegetarian sweat is slightly sweeter smelling than carnivore sweat. Lovely! 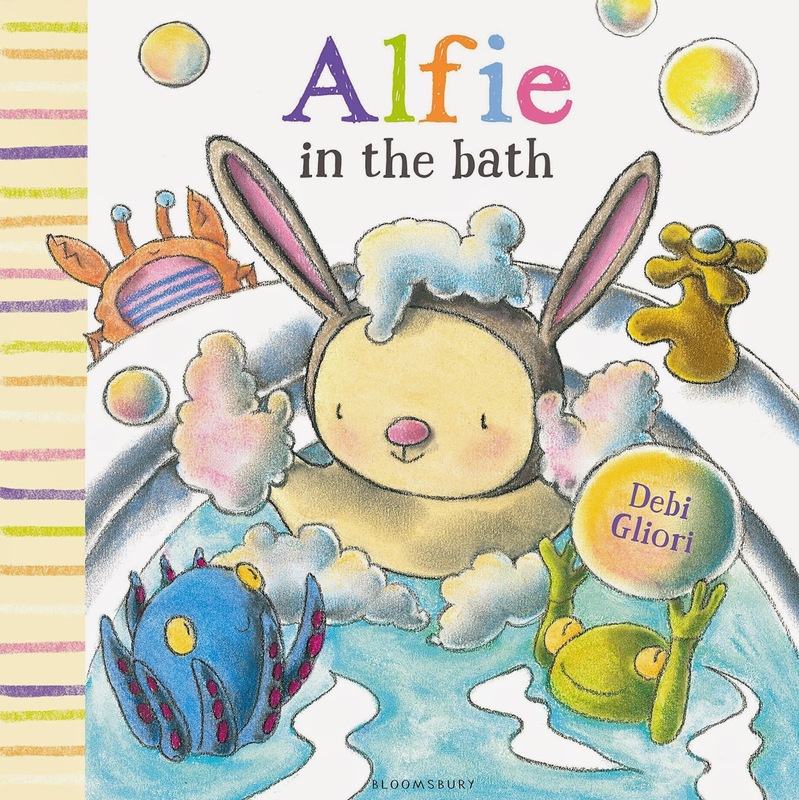 An adventurous bunny with a wild imagination, that was how we were introduced to Alfie with Debi Gliori's "Alfie in the Garden". 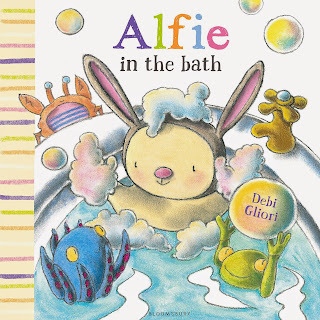 Alfie is back and this time he's in the right place for washing off all that garden dirt and mud, the bath! Naturally Alfie hasn't quite got to that age where soap dodging and a lick & a promise will do, he loves bathtime, bubbles and all his bathtime toys. A lovely second title in the Alfie series, and more are on the way courtesy of this very talented lady! Daddy's Favourite bit: Bathtime can be fun!! If your kids aren't quite at the stage where they hate bathing, they will love this one! 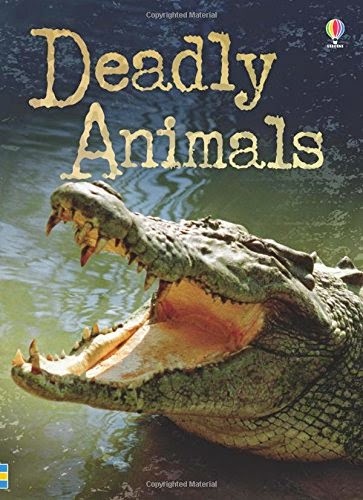 We love a book that starts off slowly, then builds to a rip-roaring calamitous climax as the story unfolds. Such is the case with "Hippobottymus" by Steve Smallman and Ada Grey. A strange rumbling bubbling sound echoes across a swamp, and is easy on the ears. A small mouse suddenly realises that it almost sounds like a rhythm and adds a subtle squeak or two to the tune. Before long, the rest of the jungle animals are joining in with the bubbling rumbling squeaking squawking sound as the tune builds to a cacophonous explosion of noise and music. Mouse takes a bow, but wait a minute, Hippo has something to say about how the tune came about. It all started with a can or two of beans....Phrrrrrt! There's a period in children's lives that usually kicks in around 1 1/2 to 2 years old, and doesn't end...(at all?) where farts, botty burps, tummy squeaks, trouser coughs, window rattlers, cushion creepers and (in this case) swampy rasps are the most amusing and high-brow form of humour known to man & beast. 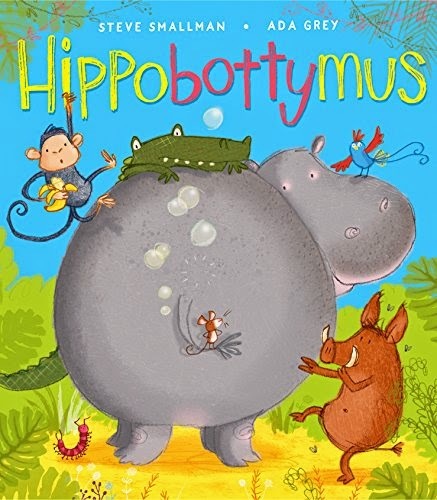 Hippobottymus is a musical and riotous celebration of that fact, and is absolutely sure to have your little ones giggling and gurgling like drains! Charlotte's best bit: Naturally, the big botty-burping reveal when Hippo lets rip! 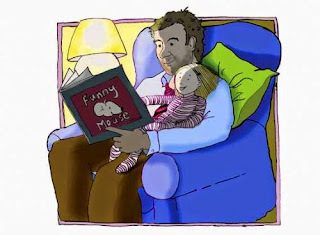 Daddy's Favourite bit: A fantastic farty flump-fluff fall-about-funny tale! Farp! It's been a packed month for us, and we've been taking a look at a huge selection of chapter books and early readers as February draws to a close. Here's a selection of some of the books that have found their way onto our bedside tables! First up is a stunning fantasy saga from Ian Johnstone. 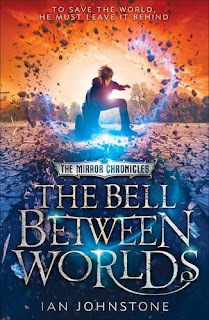 "The Mirror Chronicles - The Bell Between Worlds" is the first book in the cycle, and in the grand tradition of C.S. Lewis and Phillip Pullman, it's a book that drags the reader into an utterly amazing world - or should we say "Worlds". Silas Tate, a young loner, is drawn into a parallel universe known as "The Other" by the tolling of a giant bell. Silas doesn't yet know that he may be the key to saving the entire universe thanks to his innate talent for manipulating nature and the world around him. Silas will find out many secrets as his journey begins, not least of all some disturbing facts about his own origins and those of his mother, who may have hailed from "The Other" herself. Book one gets off to a cracking start at a blistering pace and is going to be an absolute winner for ages 10 upwards. 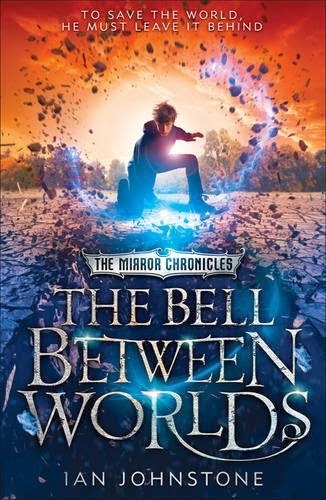 "The Mirror Chronicles - The Bell Between Worlds" is out now from HarperCollins. Elspeth is a cheeky and determined young girl who ends up living in the attic of the School for Showoffs along with her rather surly Aunt Crabbe after her parents are inexplicably washed away in a flood. Elspeth isn't exactly treated very kindly by her aunt or the other girls but does make a special friend, a shy boy named Rory who goes everywhere in tow with his pet lizard Lazlo. 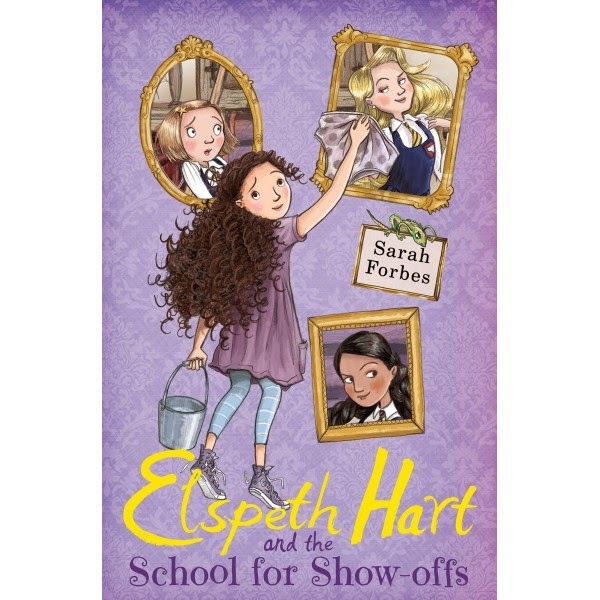 After an accident with a bonk on the head from a heavy book, Elspeth's repressed childhood memories start to flood (pardon the pun) back, leading her to believe that there's definitely more to her aunt - and the school - than meets the eye. Phew, where next? Oh my, we do love a good mystery don't we - particularly when it looks as gorgeous as THIS! We couldn't wait to find out more about Lizzie as soon as we spotted the cover of this book. Victorian London? Check. Spookiness? Check. A brainy girl hero with Sherlock Holmes-ian smarts? CHECKCHECKCHECK! Oh we couldn't resist it! "The Mysterious Phantom" won't be here until May (I know, we're such teases) but we can tell you're going to fall completely head over heels for Vicki Lockwood's new book series. We meet Lizzie as she leads a fairly mundane existence, living with her ne'er do-well father in poverty. Lizzie has dreams of escaping the squalor she lives in, so runs off to join the circus. She discovers that amongst the charlatans and performing folk, she alone has a true talent for clairvoyance - a talent that will come in handy as she becomes embroiled in a deep dark mystery to chill the very soul! This is the first book in an upcoming series of adventures featuring Lizzie - and we're already totally and completely hooked. It may be a little on the dark side for Charlotte but older kids from 8 upwards are going to absolutely love it! 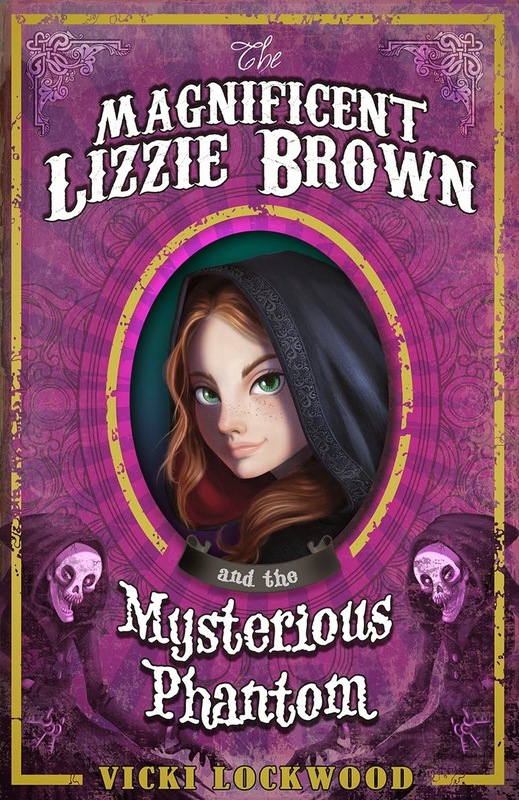 "The Magnificent Lizzie Brown and the Mysterious Phantom" by Vicki Lockwood will be with us on the 5th of May 2015 from Curious Fox. Could we possibly squeeze a couple more books in? Could we? Oh you know we could...! 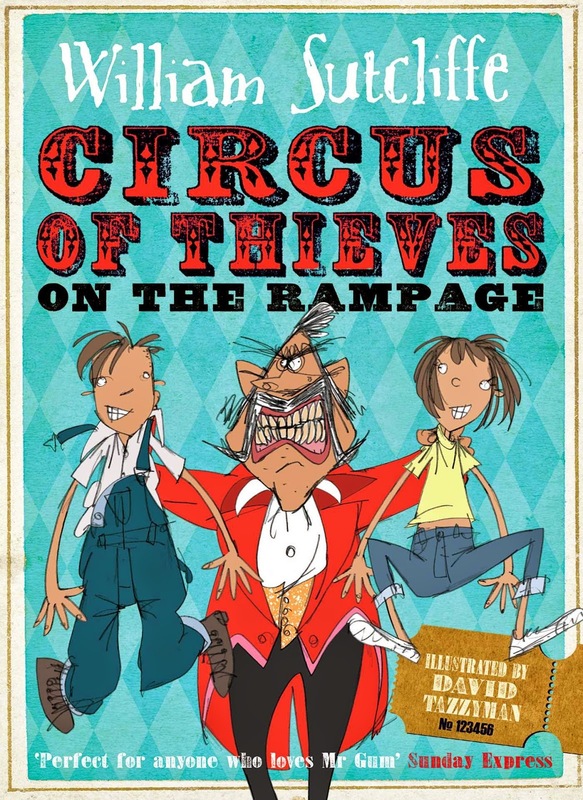 Sticking with the circus for a moment, here's the second book in the "Circus of Thieves" series by William Sutcliffe (Following on from "The Raffle of Doom"), with crazy and fun illustrations from David Tazzyman. Shanks' Impossible Circus is back so expect sheer lunacy, synchronised otter displays, escaped convicts and mad capers as Armitage Shank, Hannah and Granny end up tumbling into a frenetic adventure thanks to the aquatic antics of Queenie Bombazine, ringmaster of Bombazine's Ecstatic Aquatic Splashtastic Circus. Fans of Roald Dahl and David Walliams are going to love this completely crazy book so run away to the circus, as the book is published today by Simon and Schuster! Let's do science! Join madcap Noelle "Know-All" Hawkins in this hilarious new adventure. Noelle's famous scientist dad - Professor Brian "Big Brain" Hawkins - is in prison as a result of a rather unfortunate incident with a portaloo (We've all had those, right?). Seeking inspiration on a trip to the Science Museum, Noelle is drawn into an international mystery involving the moon, some mindreading, and an awful lot of grumpy people. But how are they all connected? Noelle, Holly and Porter are on the case. Will they piece together the crazy clues in time to save the planet? It's a fast-paced rib-tickling case that's bound to score a hit with kids from 7 upwards. "The Case of the Exploding Brains" by Rachel Hamilton is out from Simon and Schuster today! Phew, I think we're all tuckered out after all that excitement. Join us again next month for another fabulous chapter book roundup. Don't pop your cerebral cortex in the meantime though! We sat and thought, nay cogitated over what could make the perfect recipe for a review of this wonderful book. Take a pinch of opinion, a couple of giggles, a few choice words and some melted chocolate. What? Doesn't everything require the addition of melted chocolate? If not, why not? Charlotte sat down to read "Recipe for a Story" by Ella Burfoot with her Auntie Mel, and it was quite delightful to hear their laughter as they made their way through the ingredients list. The story is baked to perfection, left to rest a little while before being devoured by hungry book folk such as ourselves. 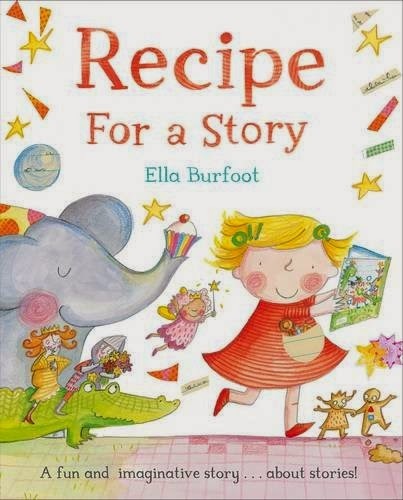 We love Ella's writing style (and we REALLY love the exquisite little details she includes in the illustrations here too). A lilting sing-song of a book that will become a huge favourite 'recipe' we'll want to cook again and again. Charlotte's best bit: Chaotic cooking but just the way we like it! Daddy's Favourite bit: A delicious tasty book-based read-aloud treat! If there's one thing regular followers of this blog will already know about us, it's that we LOVE getting outdoors come rain or shine. Following our adventures through my wife's awesome Can I Walk, Mummy? days-out blog, you'll be able to follow us as we explore the countryside around us - and further afield when we get the chance too. 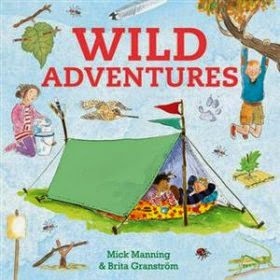 So Mick and Brita's new book is an absolute corker for us, giving us even more inspirational ideas to make our days out - or even playing in the back garden - loads more fun. The book covers a multitude of subjects from den building (our favourite thing to do when we trek out to our local woodlands), camping, making an outdoor feast, tracking and signs and of course a good dose of identifying the various flora and fauna we find on our nature rambles. Thankfully the book does cater for a bit of urban nature spotting too, so don't worry if you're a city-dweller - you'll be surprised what can be found even on your own doorstep. A fabulous resource to dip into again and again to give you some great ideas for exploring, making and doing outside! Pick it up because spring is definitely on the way, so there are lots of excuses for getting outside into the fresh air! Like this? We think you'll love this too! When is the right time to introduce your children to non-fiction books? When indeed - we opt for 'as early as possible' because as much as children love stories, they're always in awe of the world around them too. Dealing with the tricky subject of evolution and how the world around us has changed, and is constantly changing might sound like a fairly hefty and meaty subject for the very young, but handled correctly - as in this utterly brilliant book by Catherine Barr and Steve Williams, with gorgeous illustrations by Amy Husband, children's natural curious streak will inevitably set them up for a lifelong love of acquiring knowledge through books. "The Story of Life" begins back when the earth was shrouded in darkness, when volcanic ash and lava carved out our landscape long before life began. As the first microscopic lifeforms began to appear, the book takes us on a fascinating journey through earth's history showing how plants and animals adapted and evolved right across the earth's surface. 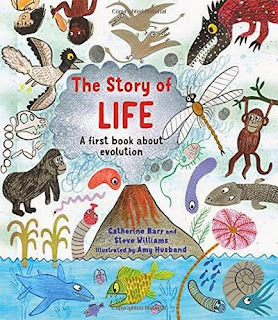 For a long time now we've been seeing dramatic strides and improvements in children's non fiction titles, and it's really fantastic to see a title aimed at the very young that will inevitably become a keepsake, something for them to explore for years to come. Brilliant, brilliant, brilliant! Charlotte's best bit: The arrival of the (very naughty and quite cheeky) apes! Daddy's Favourite bit: A really thorough and wonderfully immersive introduction to the evolution of our planet, a book that will completely capture the imagination and inquisitiveness of little ones from cover to cover. We have a huge huge HUGE soft spot for the Alfie books in our hearts. 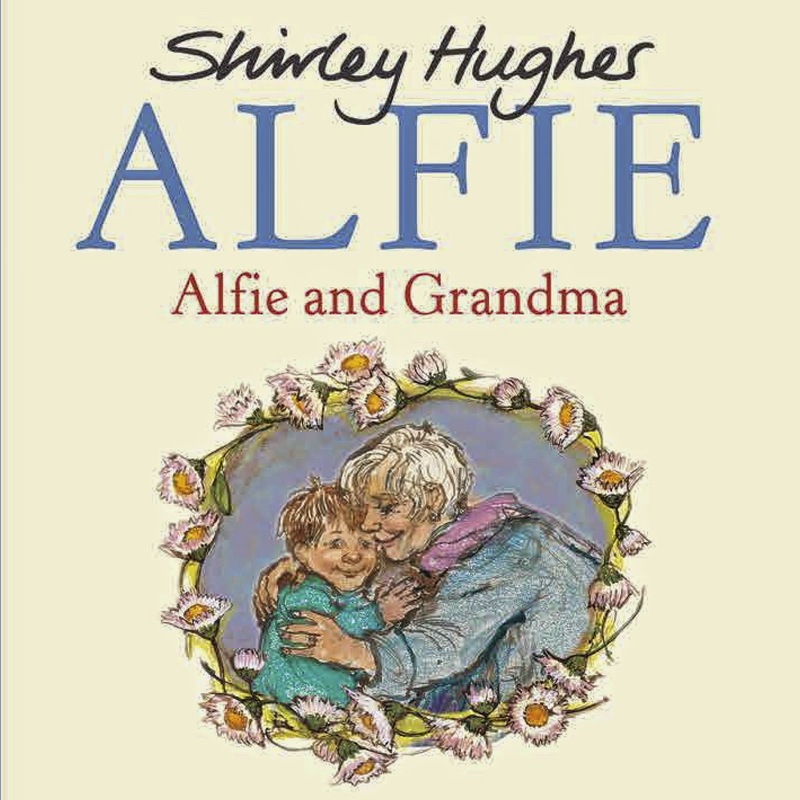 Shirley Hughes is an absolute superstar and you're probably very used to seeing us telling you so. 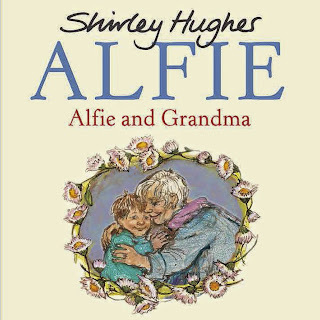 Some of Shirley's 'Alfie' books are being reprinted in new softcover formats, so it's time to fall in love with these timeless and gorgeously observed little stories all over again. In this tale, Alfie and Annie Rose are off to Grandma's house for a visit. Grandma lives in a lovely house in a picturesque village. Alfie and his little sister can't wait to go off exploring, but the rain pours down leaving no choice but to stay at home. Kids landlocked inside on a rainy day? Even Alfie's amazing Grandma might find that a little difficult to cope with so it's on with the rain gear and out into the lovely countryside for adventures to see what they can find! This story is nicely broken up into several mini stories so we get to explore and join in the fun. There are lost tortoises to be found, naughty sheep to round up - all told in Shirley's gentle style and gorgeously illustrated with her expert observational eye. We always love any book with a good map in it too, and this has an absolute corker! Don't miss it! Daddy's Favourite bit: Beautifully observed, timeless and brilliant stories with the most gorgeous illustrations. No wonder we can't get enough of Shirley's books! It's a tough thing to admit it but this year has already been so hectic. I started a new job and as she moves through year 2, Charlotte is sent home with more homework, and is taking on new challenges like learning the piano. I began to worry that the blog might start to slip away from us. My new job means no social media in the daytime, no promoting of blog posts and no surreptitiously writing reviews during daylight hours. We still love books though, and that header image sums up just how 'golden' our reading time together still is (and I know @TheStrollingMum feels exactly the same way too). I started to realise that it's actually no bad thing to sit down in the evenings and type up a couple of our reviews. We can rein ourselves in so if you spot that review numbers go from several a day to one, you can bet we are pouring our book-loving hearts and souls into each one. Our reviews are still compiled in the same way. I take mental or written notes of what Charlotte thinks about a book, and the discussions that surround each new book we read are still as animated and passionate as ever they were. Thank goodness because I can't imagine what it would be like if we really had to give up being ReadItDaddy (and believe me, it will take a lot more than 'just being a bit busier' to make us want to throw in the towel, in fact I can't think of anything that would). If only there were more hours in the day though, eh? We've long been fans of pirate books and we're always looking for a new wrinkle on those sea-salty nautical coves. The story starts in a dark tavern, frequented by some of the most dastardly buccaneers to roam the seven seas. Their tales of bravado, booty and derring-do are fantastical, but one set of tales chills even the most fearless pirate right to the bone - the tale of the Beastly Pirates. An animal crew, each with their own nefarious talents, The Beastly Pirates are brave, treasure obsessed and very very hungry - and there's nothing they like better than feasting on other pirates! Cooked in a pie, or scoffed with spaghetti, the beastly pirates stop at nothing to satisfy their appetites! 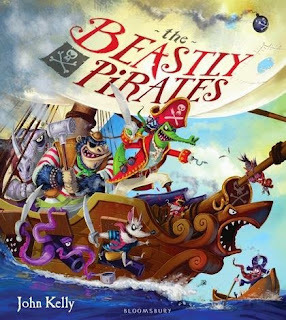 John Kelly has tapped into a rich storytelling tradition with aplomb in this eye-catching book which grabbed our attention with more than a knowing nod and wink to that other pirate meister, Jonny Duddle. We did love the twist at the end of the book (which we won't ruin for you) but most disturbingly of all, for a couple of vegetarians at that, a few of those pirate-based recipes made our stomachs gurgle!! Charlotte's best bit: Pirate bolognese actually looks SO delicious! Daddy's Favourite bit: A nifty new tweak and twist on the pirate genre so beloved of children's authors and illustrators, feast on this book at once! Mr Bear is not happy. For years he's lived a life of quiet contemplation (and slight grumpiness) out in the wilds, gathering honey and reading his vast book collection. Sounds blissful doesn't it? Only Mr Bear's life changes completely once "Those Pesky Rabbits" move in. Aww but look at the little dears, they're utterly adorable! "Those Pesky Rabbits" by Ciara Flood. Aren't they just gorgeous! Bear has to get used to the rabbits constantly doing unreasonable things, like knocking on his door and bringing him presents, suggesting book swaps, or some fun in the snow. Bear has had just about enough of this frivolity and loses his temper. Can those pesky (adorable) rabbits win him round? Ciara Flood's gorgeous story for Templar is such an entertaining read (even if Charlotte kept pointing out that I'm a bit like that bear at times. Owch!) 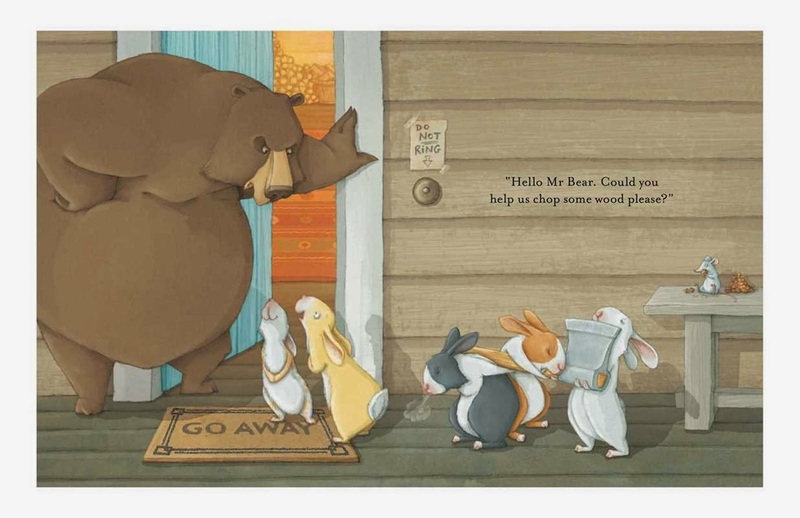 Each glorious page spread is exquisitely detailed, and as we see Bear's frosty exterior melt due to the kindness of his new neighbours, we can't help but wish that bunch of bunnies would move in next door to us. Love 'em to bits! Charlotte's best bit: Having spoonfuls of honey in tea? Sounds like it's worth a try! 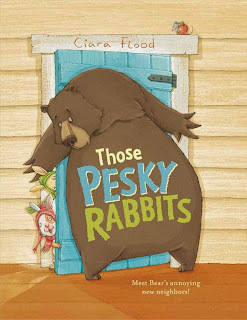 Daddy's Favourite bit: Hugely entertaining and though we love grumpy old bear, the gorgeous rabbits definitely steal the show! Usborne rule the roost when it comes to the most fantastic non-fiction titles that engage children's curiosity and imagination. 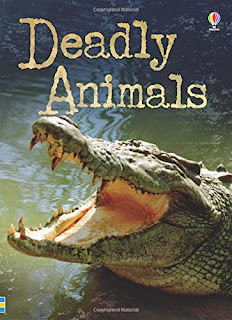 The "Young Readers" range is superb, and in this new title you'll come face to face with some of the deadliest animals on the planet. Whether crawling, slithering or swimming, there are animals out there that would like nothing better than to turn you into a tasty snack. You'll learn all about the poisonous barb on the end of a scorpion's tail, and the nasty venoms that snakes and spiders can inject into their prey. On all fours, you'll find powerful animals that use stealth and tactics to stalk their suppers, each described with a set of hair-raising statistics telling you exactly why you don't want to meet a polar bear if you happen to find yourself on a merry jaunt across the arctic, or why swimming in the Amazonian Rain Forest might help you lose weight drastically and permanently. I must admit, I kidnapped this book very quickly as soon as it arrived for review. Every evening once Charlotte is safely tucked up in bed, I sit down after a hard day's work and start to paint. Admittedly my canvas is a screen and my paint palette is digital, but I'm always on the look-out for new inspiration. 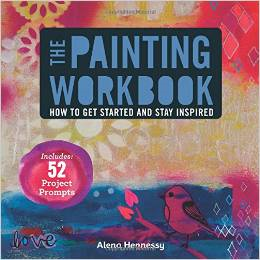 Alena Hennessy's fantastic "The Painting Workbook" offers just that - some brilliant inspiration, along with fantastic tips and tricks to help you get the most from painting. From buying the right tools and materials (without spending an absolute fortune - unless you really want to, of course!) to setting up your first canvas or scoping out your first piece of art. The book is divided into different sections for various media including watercolours, oil paint, gouache and acrylics - and also works as an amazing showcase for Alena's artwork too. 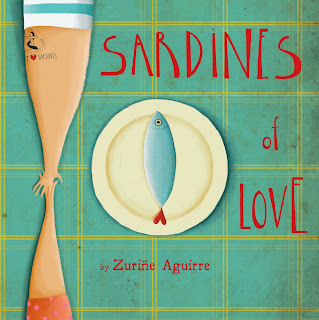 Let's be perfectly honest, Sardines aren't normally the sort of thing you associate with Valentine's Day, or a love story. Yet here we are on the day when the card industry goes completely crazy, florists gambol up and down their shops with reckless abandon and every restaurant for 10 square miles around where you live is booked solid, extolling the virtues of a glorious children's book about those super-gross little fish. Grandad Lolo LOVES Sardines. He loves them baked, fried or quite possibly even raw. Grandma Lola absolutely hates sardines. The smell of them, the look of them and most definitely the taste of them. Like Jack Sprat and his wife, Lolo and Lola lead a merry existence in blissful acceptance of each other's dietary habits. One fateful day, Lola realises that the little sardine shack is all out of sardines and there's nothing for Lolo's dinner. Being a bit of a dab hand (pun intended) with a fishing rod, Lola sets out to catch Lolo some supper - but due to an unfortunate nautical mishap, Lola ends up flying straight down the throat of a friendly octopus! EEK! Trapped in the Octopus's belly, Lola realises that the place is like a little house, complete with a stove and furnishings but the one thing it doesn't have is any food - other than (yep, you've guessed it) Sardines! Loads of sardines, here there and everywhere! Lolo comes home and wonders where poor Lola has gone. Can Lolo find his missing missus? 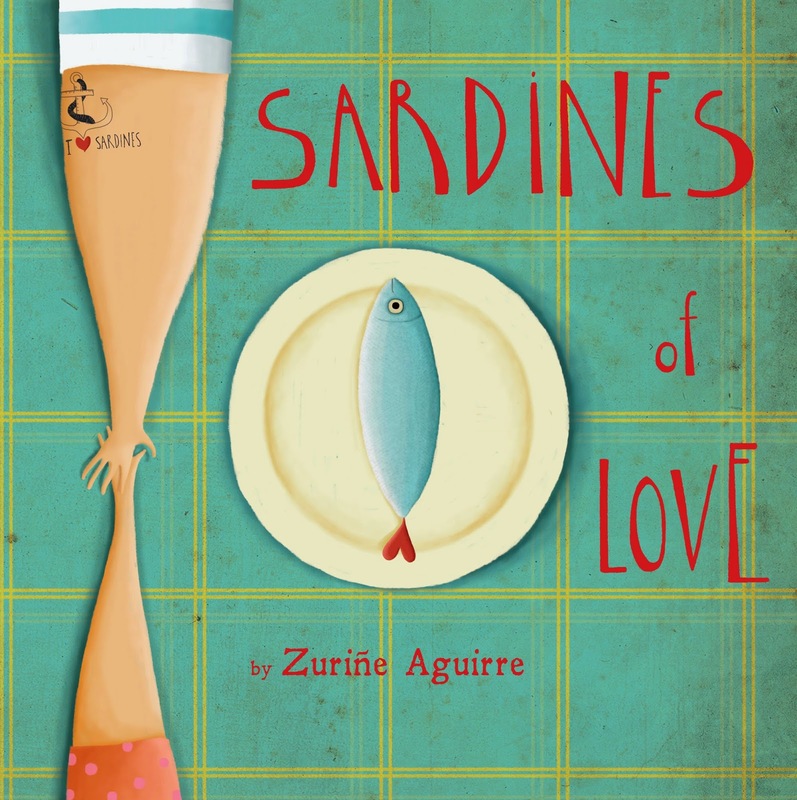 Daddy's Favourite bit: What an adorable tale, a wonderful love story that might even convince you that sardines are the food of love! The future of parental enforcement is here and you have 20 seconds to comply! 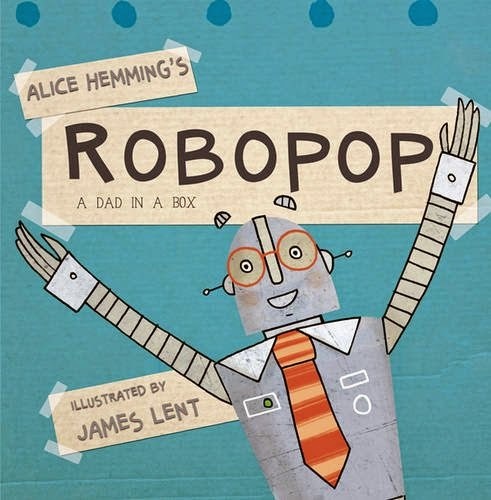 Here's "Robopop" which came out on 28th January but we wanted to make sure it made a book of the week slot because it's just SO GOOD! It's 'Bring your Dad to School' day and everyone's dad seems to be amazing! Two children are rather embarrassed by theirs though. He's a hopeless cook and all he seems to do is invent stupid things. Dad feels a bit unloved so decides to leave the kids with a rather special babysitter. Enter Robopop! He's metal, he's mondo and at first the children seem to think he's spectacular...but Robopop's ideas for how to have a fun time soon see the two children tired out (and not at all popular with the neighbours or the children in the local park). Robopop is a whizz at footie but his idea of a slap-up feast consists of spinach, spinach and more spinach! EW! He's rubbish at bedtime stories too, preferring a harsh regiment of robotic exercise before bed rather than a couple of pages of "The Fearsome Beastie". Thankfully Dad comes back in the nick of time to rescue the kids from Robopop's craziness. 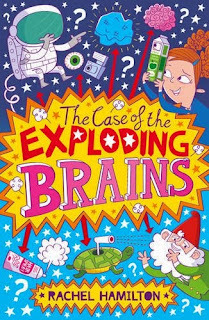 We can't get enough of this book and it goes without saying it's a fantastic book to read aloud, particularly if you love doing crazy robotic voices (I do!) Not sure about the location of Robopop's on switch though, I think we'd have used a long pointy stick to activate him! Fantastic mechanical fun, we'd buy that for a dollar! Charlotte's best bit: Robopop has some pretty funky ideas about pudding. More spinach? Don't mind if we don't! Daddy's Favourite bit: It's a laugh-out-loud robotic caper that we instantly fell in love with. I wonder if I can convince Robo to look after Charlotte for the weekend..! Cheese. Where would we be without it? Charlotte favours the soft milky taste of Brie whereas I love the sharp tang of Shropshire Blue. We would be beside ourselves if a nasty little gang of mice decided to break in and take our precious comestibles. 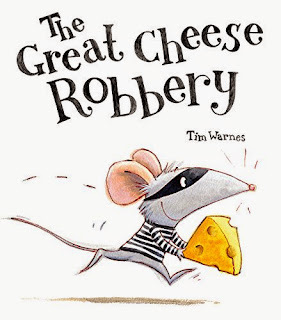 The cheekiest mouse in the world kicks off this brilliant tale of "The Great Cheese Robbery". Patrick, a baby elephant, is in complete awe of his dad - he's the biggest, strongest elephant in the world but if there's one thing dad really doesn't like, it's mice. The aforementioned mouse has the bare-faced cheek to turn up at the house posing as a cheese inspector. After a swift recce in the fridge, he claims that all the cheese must be confiscated immediately, scuppering dad's supper plans for cauliflower cheese. While Patrick and Dad look on, the mouse takes a bold step further, and enlists the help of a horde of mice to make off with the cheese - and everything else that isn't bolted down, including Patrick's toys! EEKS! As delicious as a lovely slice of manchego on toast. Daddy's Favourite bit: A hugely fun book to read aloud in a variety of silly voices. But oh, those cheeky mice! Charlotte's favourite current obsession is hauling out the huge snuggly blanket we have at home, draping it over the clothes horse and making a secret little den to scurry away to. It's quite funny watching her hauling out all her soft toys (as guests), setting up her little night-time reading torch as a light inside, and tucking herself away with a couple of snaffled Jammy Dodgers and a good book. One of these days though, a monster's BOUND to move in. 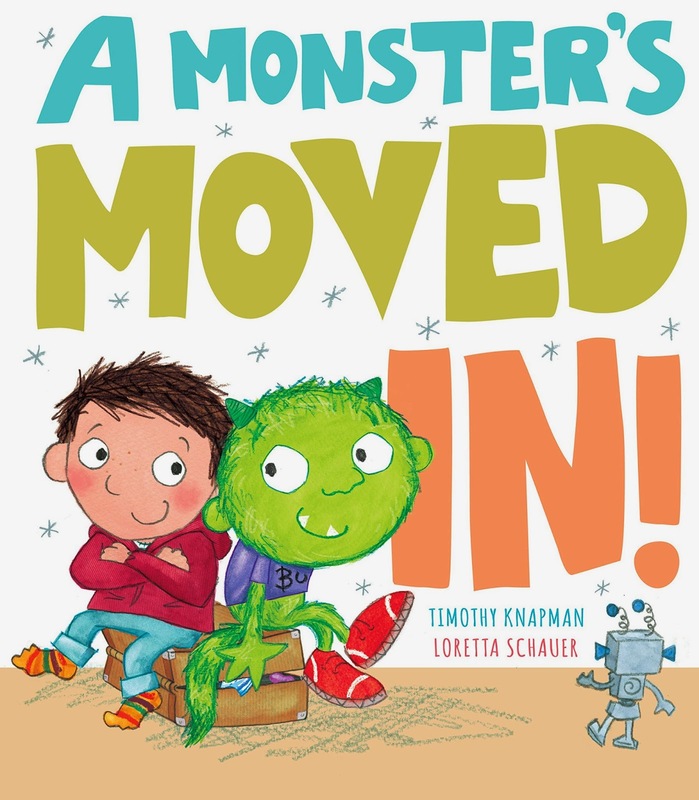 Just like in this story from Timothy Knapman and Loretta Schauer where a little boy does exactly these things, and ends up sharing his den with a green fuzzy hairy and slightly noisy monster. Aside from a semi-lethal packed lunch (which comes to life and insists on trying to eat the den) it's actually quite fun having a monster as a friend. Alas it's soon time for the little monster to go home to his monstery parents, but what happens when a monster makes a den? Will a boy move in? 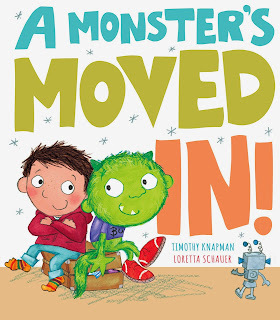 This fun and original tale will appeal to anyone who's ever had a secret den - or anyone who's ever fancied playing host to a cool monster friend! Charlotte's best bit: The monster's completely crazy (and very dangerous looking) squidgy packed lunch! EEK! Daddy's Favourite bit: An ace story of friendship, hairy monsters and den building! The amazing Mexican "Day of the Dead" festival is a riot of amazing imagery, sights sounds and colour. Far from being morbid, it's a hugely inspirational spectacle and one day we're determined to go and visit Mexico while the festival is on. 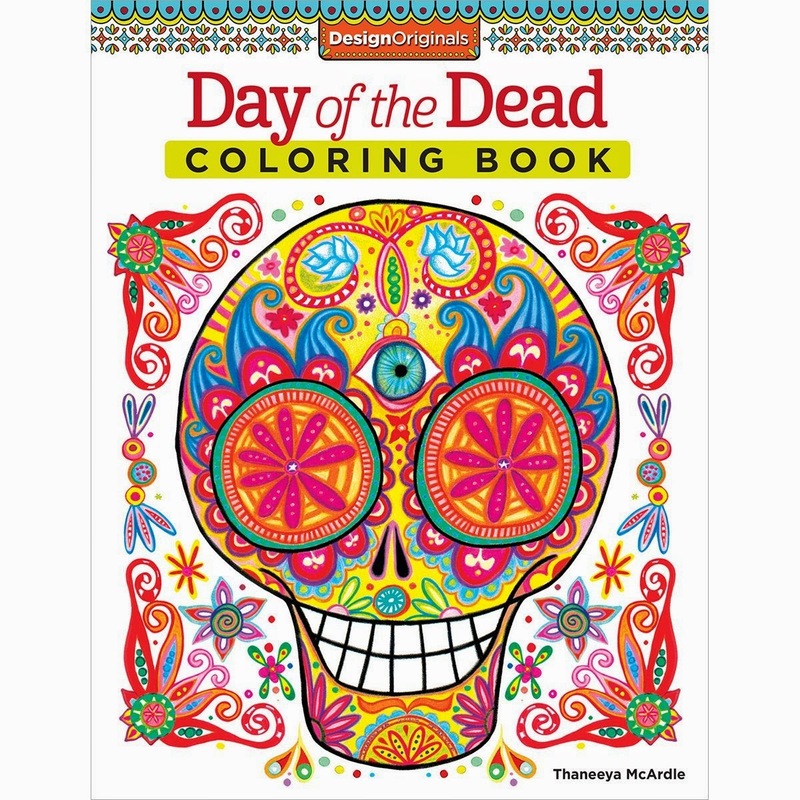 For the time being though, we'll go for the slightly cheaper option of enjoying the Day of the Dead through this super fab and groovy colouring book! Design Originals produce several of these fab books but we utterly loved this one. Not least of all because one of the designs features a little girl who is the eerie spitting image of Charlotte herself! Whoah! 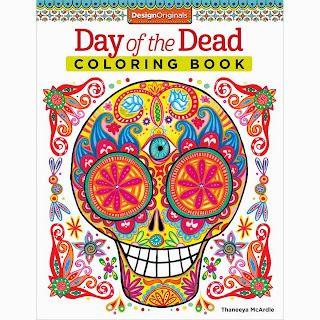 Daddy's Favourite bit: Soothing, addictive and compelling colouring - even for grown ups! 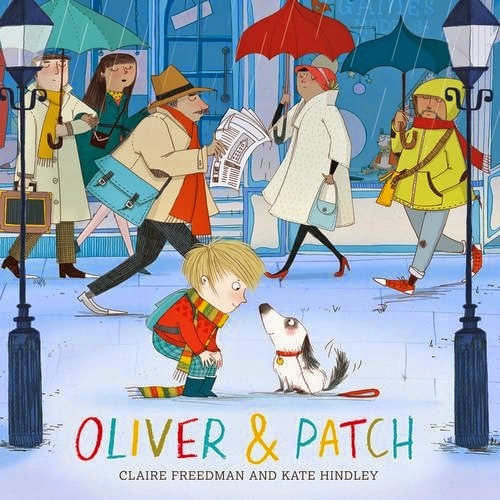 Patch and Oliver become firm friends but one day when they're out for a walk, Patch spots someone in the distance and runs after them. What will Oliver do if he has to give up his new best friend to a complete stranger, a rather forlorn little girl? We devoured this book. It is an utter joy to read, beautifully melancholy in places but with a heart-soaring conclusion that makes you want to cry and cheer at the same time. 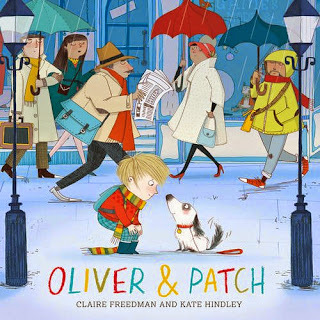 We loved seeing Claire Freedman put the underpants down for a mo to come up with a truly lovely tale, and Kate Hindley's illustrations are utterly wondrous from start to finish. If anyone wants us to dog-sit patch for the weekend, we'll definitely be up for that! Daddy's Favourite bit: Touching and lovely storytelling, super-sweet illustrations in just the sort of style we absolutely adore. A doggy-treat of a book that's destined to become well loved! In the leafy forest, a friendly group of animals live in harmony. One animal though isn't quite like the others. 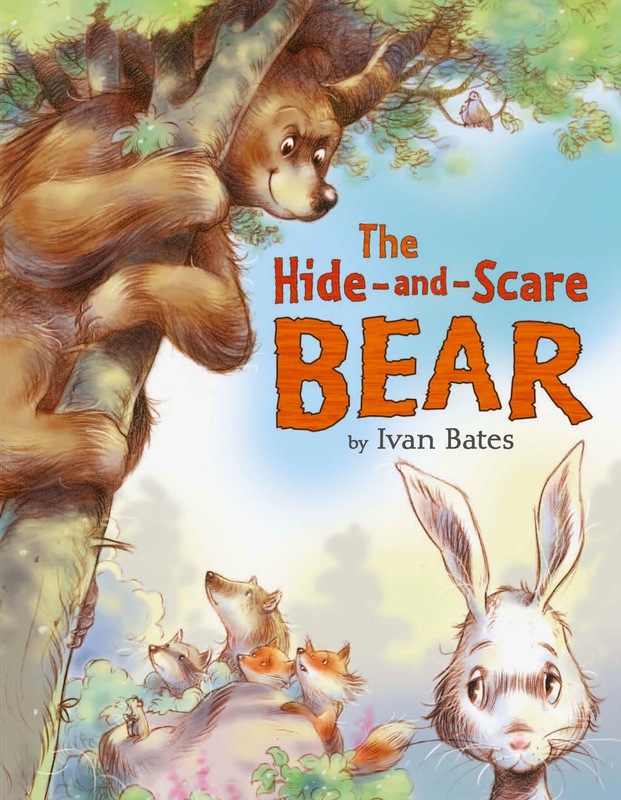 He's a big brash and loud bear who likes nothing better than playing his favourite game, Hide and Scare. This bear is quite impolite too. Never a please or thank-you or excuse me. He's turning the animals into nervous wrecks so what can be done? The animals have a huge meeting and decide that something must be done - but what? Bear is so much bigger than they are - but one rabbit comes up with a plan. She knows just how to solve this big hairy beary problem! Perhaps a big bear hug will help! Most comic fans will be able to tell you the exact character, story, writer and artist that really got them into comics in a big way. For me it was Judge Dredd in 2000 AD, written by John Wagner and drawn by Ron Smith and Brian Bolland. For Charlotte it was undoubtedly the first time she caught sight of Pirates of Pangaea by Daniel Hartwell and Neill Cameron. Setting the pages of The Phoenix Comic alight with the most incredible adventures week after week. Charlotte is now a regular Phoenix reader but missed quite a few of the early PoP stories. So imagine her excitement when Book 1 of the collected early stories popped through our letterbox, courtesy of the lovely folk at David Fickling Books / The Phoenix. 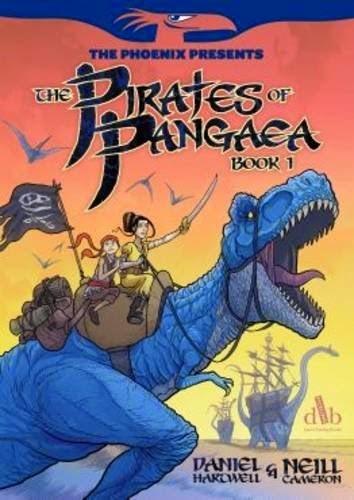 We join Sophie Delacourt, a gutsy 12 year old embarks on a fantastic journey to the mythical lost land of Pangaea. Legend has it that dinosaurs still walk the earth there - and not just walk the earth, but are part and parcel of everyday life. Sophie soon finds out that this is the case as her ship sails across the ocean, under the watchful eye of a grizzled but kindly bosun. As the ship makes landfall and Sophie gets her first real sight of the amazing "long necks" and their pilots - the "Snuffmen" who hold the secret of pacifying dinosaurs to a point where they become willing mounts. Trouble soon catches up with Sophie - for the land isn't just a land of dinosaurs, it's a land of pirates and brigands too! Her ship attacked, and the crew killed or captured, Sophie ends up leaping out of the frying pan and into the fire as she escapes the foul pirates and the evil Captain Brookes along with Kelsey, a cabin boy and a pirate ally known as Ten-Gun. Danger isn't far behind though, as Sophie lives on her wits and fearlessness, swiftly forced to adapt to this strange new land. Sophie is EXACTLY the sort of hero that Charlotte needs to see in comics. I've slowly introduced her to many brilliant comic series and graphic novels that are suitable for her age, and along with Pirates of Pangaea it feels like the new golden age of comics for kids is fully embracing the idea that girls are as interested in action comics as boys, and want to see heroes they can really get behind in those comics too. 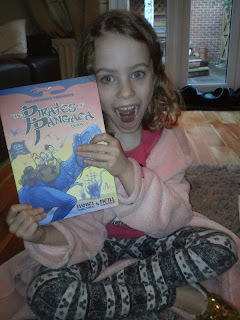 "Pirates of Pangaea" is fantastic for both boys and girls, and we've been thrilling to the exploits of Sophie in the comic. If you've missed out so far though, there's really no better way to pick up the threads of this fantastic tale than with this initial collected volume. We can't wait for the strip's return in the comic and for the collected volume 2! C'mon Daniel and Neill, get scribbling! Charlotte's best bit: "Pirates of Pangaea" was her comic introduction, she absolutely loves the mix of fast-paced action, dino thrills and a tough gutsy girl hero to look up to. Utterly brilliant! Daddy's Favourite bit: It's just such a brilliant idea! 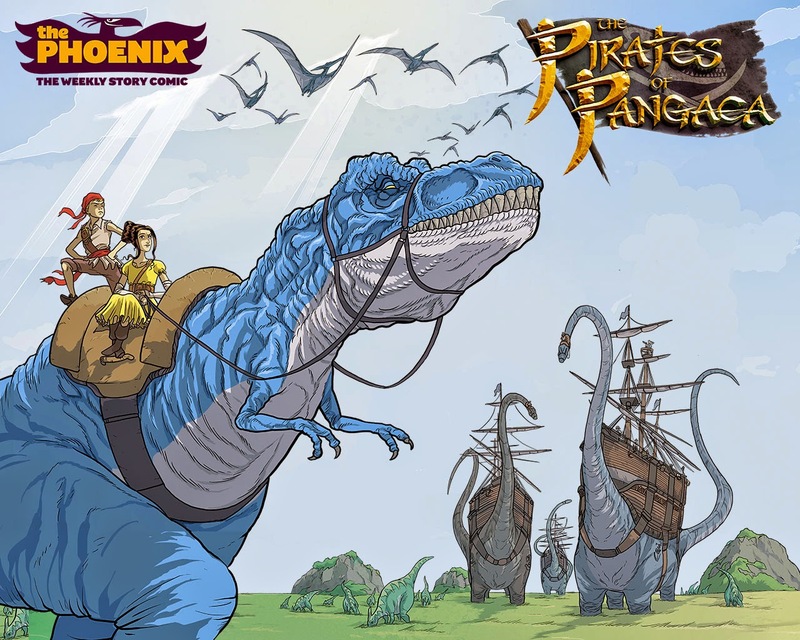 Mixing dinosaurs and pirates in a thoroughly original fantastically written and illustrated strip that cannot fail to get kids completely hooked! Tweaking and twisting one of our favourite old children's stories and introducing a friendly(?) 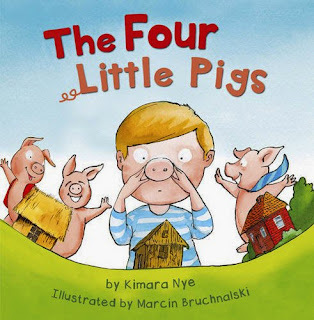 Grandma witch, "The Four Little Pigs" sees the civil-engineering piglet trio joined by a little boy who initially tells his grandma that her bedtime stories are "Booooooo-RING!" I get this sometimes too, you see Charlotte doesn't instantly love every single book we review - Sometimes I have to insist on a read-through but I don't have Granny's magic powers to help me really immerse her in the story. But in this tale that's exactly what she does to her grandson Tom. He becomes the fourth little pig, complete with snub nose and piggy tail. Tom arrives just in time to help the first little pig thwart the wolf's first attack and thanks to his inner knowledge of the story, he becomes a bit of a hero. Charlotte's best bit: Tom comes up with a fantastic plan when it looks like the Wolf is going to make like Santa, and steal down the pig's chimney! OWWWWCH! Daddy's Favourite bit: A neatly told and illustrated version of a well loved children's classic, given a cheeky tweak. Very cool! Guest Blog Post from Deborah Fajerman, Author / Illustrator - "Do you need to have your own children to be a children's author?" 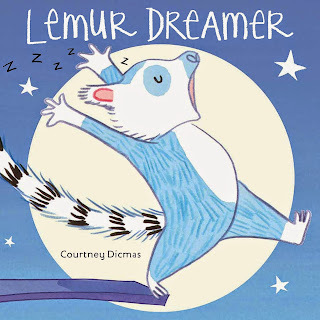 We're very lucky to have a guest post today from author/illustrator Deborah Fajerman. Deborah specialises in stories for young children, chock full of humour and colour. We utterly adore her work so we're very pleased to have her aboard. Take it away, Deborah! I used to worry that I wasn’t really qualified to write for children, because I didn’t have children myself. Deep down, I believed that official children’s writing could only be done by authors who were card-carrying child experts like parents or teachers. I thought that picture books should probably be signed off for publication by a panel of under-fives. Despite my lack of credibility as a non-child-owning children’s writer, I managed to publish two picture books. I admitted my fears to my editor, who said that you didn’t need to have children yourself, you just needed to remember the feeling of what it was like being a child. She told me about the non-parents she worked with, who wrote picture books with great success. So that reassured me. I now have two children, aged six and four. I would say that on balance, having them around is quite useful. Quite often we’ll be playing together when they say or do something so brilliant I just have to distract them from what we’re doing, by handing them a biscuit or something, and note down the idea on my phone, so I can nick it properly at a later date and put it in a story. I’ve been obsessed with children’s books and cartoons since for ever, and while I was monkeying about on my part-time graphics degree it seemed to make sense to use the spare time when I should have been doing graphics assignments to draw rambling autobiographical cartoons and children’s books. Once I started doing children’s books I felt a bit guilty that I didn’t actually know anything about children, but as my book was all about cows it didn’t seem to matter too much. I just thought of an idea, drew some funny pictures, and made up the words to go along. I just bloody loved doing it. I get the most enormous amount of pleasure from storyboarding, putting words in the right order with the pictures doing just the right thing… it’s almost embarrassingly fun. I don’t get out much, no. Nowadays I spend quite a lot of time with various children, and have learned a lot about them during research trips to their natural habitats such as softplay and the park. While I do find it useful to see how they play and what kind of books they like, I would say that everything I write and draw still has to be satisfying to me. Wherever a story idea comes from, it has to chime with something in my head before I can turn it into something more. For example, the other day my younger daughter wondered out loud if there was a spaceship on our roof, and for some reason this idea just struck me as so wonderful and mysterious that I just had to write it down. She says lots of other amazing and beautiful things but they don’t end up in my stories. In an interview on Radio 5, Judith Kerr said that she finds it harder in some ways to create children’s stories now that she doesn’t have small children of her own. The Tiger Who Came to Tea, her most successful book, evolved from the bedtime stories she told her daughter about all the things she enjoyed the most, such as going out in the dark, and eating that elaborate tea with all the trimmings. That’s a pretty strong hint that if you listen to children, they’ll tell you the stories they want to hear. Having children has changed me as a writer, obviously, because I’ve changed into a parent and I’m not the same person I used to be. I might be a better writer eventually because I have a live-in editorial board to test my work on. On the other hand I’m quite scared of my children’s brutally honest comments. I hardly ever show them something I’m working on before it’s completely polished, because I know that if I’m not happy with something they will pick up on it rrrright away. I’d say that on the whole, having kids isn’t a good investment if you just want free editorial advice: you’d be better off with a writing group and maybe a kindly nephew. One nice thing about being a parent is that you’re pretty much immersed in stories and books, and being part of a child’s world of imagination really does help you to keep sparkling with ideas. People are always giving you picture books, I mean giving your children picture books, so there’s loads of inspiration right there on your own bookshelf. It could even inspire you to start writing down your stories. Telling stories is a natural part of parenting, and the best thing is to make up your own, like Judith Kerr did. Books can make stories seem rigid, like words set in plaster. The more people tell their own stories to children in their own words, the better. 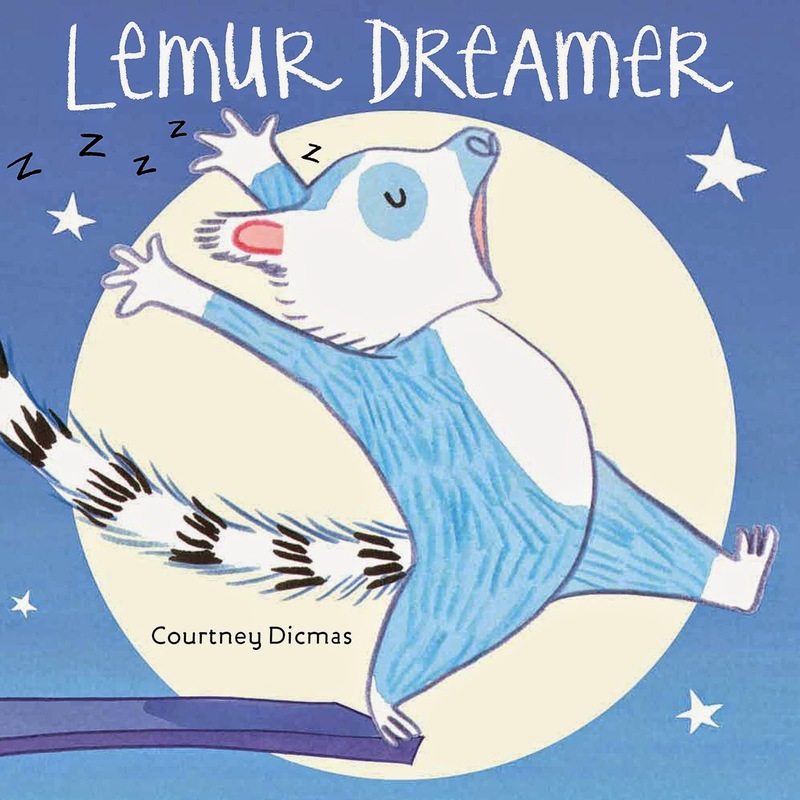 Crazy animal antics and counting fun are the order of the day in this jazzy and hilarious book from a real dream team. "How Many Legs?" 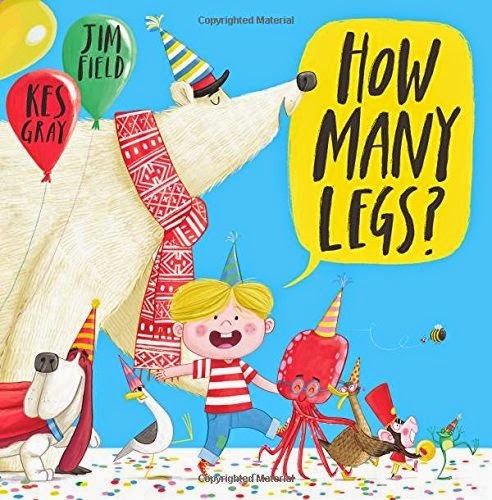 is a really fun counting journey from Kes Gray and Jim Field. It's easy enough to count the legs on a flamingo but what do you do when a polar bear crashes in for dinner? You may need more than your fingers and toes to count all the legs on that little lot. A little boy begins his counting journey with animal friends, and your little ones can join in. Even though Charlotte proudly proclaimed that she can count to more than 100 (and we can definitely testify to this!) she adores any book where animals take centre stage in hilarious ways. There's a crazy party in store, and just in case you completely lose count you'll get lots of help along the way. What a great idea to make counting and adding fun! "How Many Legs?" is out tomorrow from Hodder Children's Books so you haven't got long to wait until you can join in too! Charlotte's best bit: Mr Buffalo's stylish gold tooth! Uber-cool! Daddy's Favourite bit: What a delicious treat from Kes and Jim! Counting made fun, with the craziest animal cast you've ever seen! Brilliant! Here's a devilishly clever little animal book for younger readers that uses some pretty nifty illustrative trickery and neat folding pages to give younger children an animal surprise with each turn of the page. In "Who's Hiding?" 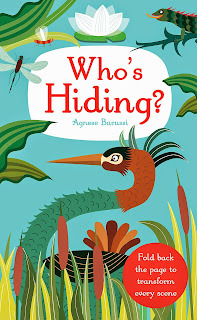 by Agnes Baruzzi, fairly ordinary scenes open up and unfold into wonderful animal pictures encouraging children to use their in-built natural curiosity to explore every nook and cranny of a good book. Charlotte's best bit: The two lovey dovey birds, forming the shape of a heart. Awwww! 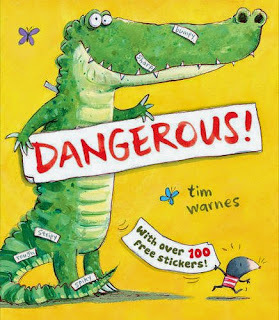 Dangerous by Tim Warnes, released in paperback today and now with awesome stickers! We absolutely LOVED "Dangerous" by Tim Warnes when we originally reviewed it back in 2014. Now it's back with a newly released paperback edition of the book - and the chance for your little ones to emulate the cute little mole in the book, with their own stack of brilliant stickers. The new edition comes with over 100 free stickers - so your little ones can decorate their pencil cases, school bags and scooters with great little labels. "Dangerous" by Tim Warnes, out today in paperback from Little Tiger Press. Snap it up! 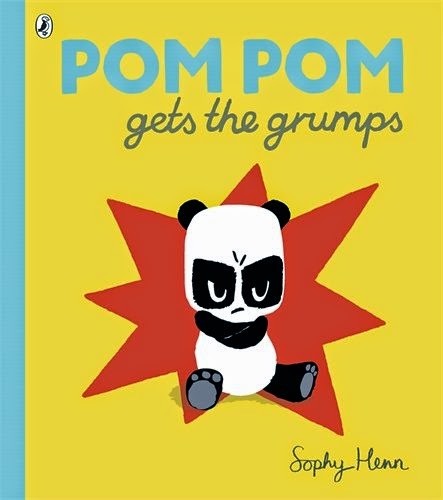 Pom and Pim are an engaging couple and we've previously taken a brief look at "Pom and Pim" by Lena Landstrom and Olaf Landstrom on the blog. The adventurous toddler and his favourite toy are back for a new adventure but this time Pim is in danger. Poor Pim has been grabbed by a mischievous dog, and has completely disappeared. Pom is distraught at the loss of his favourite toy, but teaming up with a slightly more friendly pooch, Pom is hot on the trail of his missing friend. Is he tucked into a bush? Is he hiding under a bench? 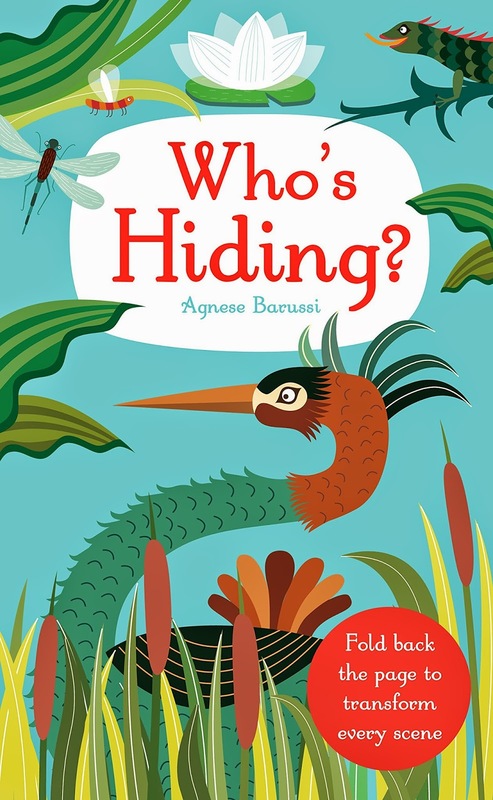 Tiddlers will absolutely love the 'hide and seek' peekabo nature of this latest Pom and Pim book, and will love the way the book ends too. Lena and Olaf Landstrom's pint-sized little character is engaging and lovable, and it's a great fidgety little read for younger children. Charlotte's best bit: Pom's woe-stricken expression as the naughty dog disappears off into the distance with Pim in tow! Naughty dog! Daddy's Favourite bit: Awesome fun for the very small, another neat little story from Lena and Olaf!